Footwear is incredibly important as your shoes impact your posture, the way you walk, and the way you present yourself. So why not spend some quality time taking care of it when so much is at stake? Warning signs such as worn out soles, broken or wobbly heels and faded color are just a few hints that indicate that your favorite pair of kicks is on the verge of saying goodbye. Most people tend to throw away their old shoes once they notice any of these damages, but if you find it hard to let it go, there is a convenient way to bring them back to life – Shoe renewal. Here are some reasons why your shoe deserves a second chance!! 1. 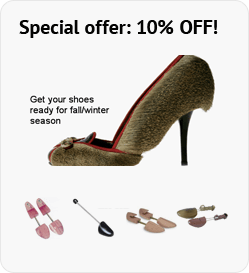 Saves cash: Let us face it, a ton of hard earned money went on creating your amazing shoe collection. So, saving as much as you can on its repair is recommended. Shoe repair services in New York can renew your stilettos, shredded from weddings or perhaps a long night out, at a cost which is less than half the price of new shoes. 2. Environment Betterment: Shoes are difficult to recycle because they’re often made of different plastics, fibers and other materials. By repairing them, you’re keeping them out of landfills. 3. Better Fit and More comfort: When buying new shoes, you are likely to suffer from blisters and sore ankles the first couple of times you wear them, hence it’s better to keep a pair of shoes that can grow old with you than constantly buy different shoe brands that won’t give you assurance when it comes to comfort and quality. 4. Top-class workmanship: Shoe re-craft and renewal is not an easy task when compared to assembling a new pair of shoes. Brooklyn’s premium shoe repair service takes full responsibility in preserving the life of worn out and damaged shoes using the best of their talent and skills.